Senator Joe Manchin, center, with representatives from Senator Shelley Moore Capito's office. The increasing national backlog of security clearance approval hinders West Virginia’s ability to take advantage of one of the nation’s fasting growing economic sectors, prompting two development groups to convene a discussion Friday with Senator Joe Manchin, representatives from the office of Senator Shelley Moore Capito, and array of government officials and industry to discuss how to chip away at the buildup. West Virginia Forward, a collaboration of West Virginia University, the state Department of Commerce and Marshall University, joined with Discover the Real West Virginia to bring together Manchin, West Virginia National Guard members, congressional delegation representatives, government officials, business and industry executives and higher education leaders. 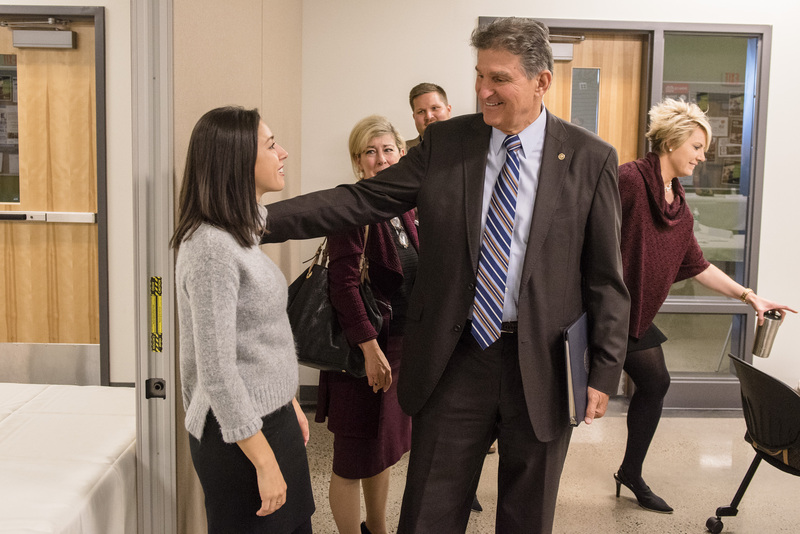 “As Honorary Chair of the DRWV Foundation and member of the Senate Select Committee on Intelligence and Senate Appropriations Committee, I am proud of the commitment DRWV and WV Forward has put into bringing high-tech security jobs to the Mountain State. This growth will not only be critical to enriching West Virginia’s economy, but also ensuring our national security for years to come. 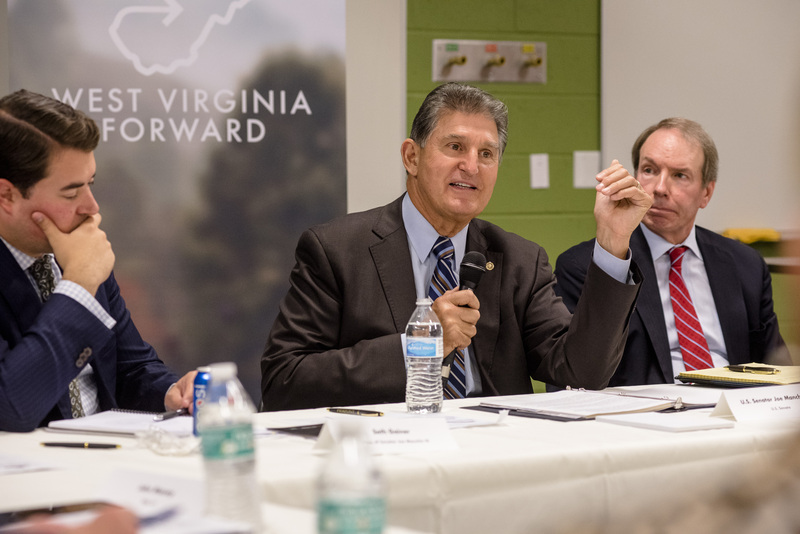 Our discussion here today shows that when West Virginian minds come together, we can cultivate strong plans for the future,” Senator Manchin said. Although there are many existing assets and structural advantages that mark West Virginia an attractive destination to bolster the state’s cyber and IT industry, West Virginia businesses have faced difficulties as a result of the security clearance backlog, noting the national backlog has dramatically increased from 190,000 cases in 2014 to a record high of 725,000 in June 2018, according to the Office of Personnel Management. 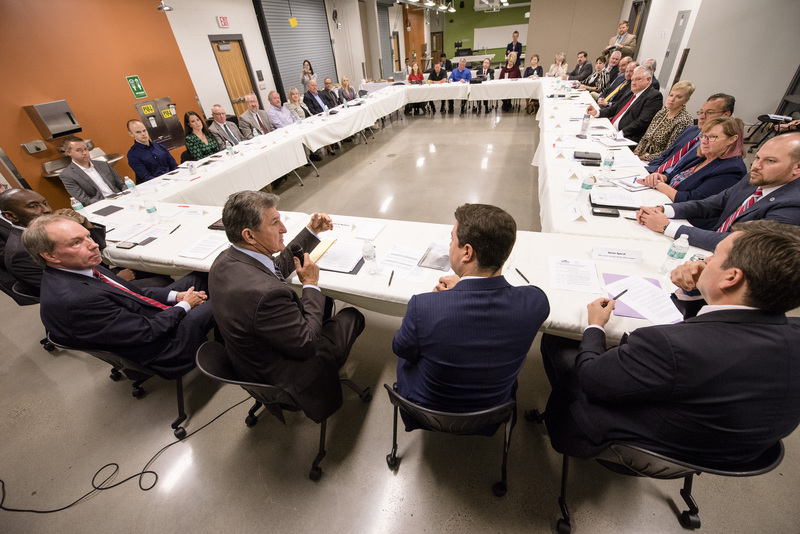 More than forty experts participated in the discussion, with DOD officials providing a status report of the federal government’s plan to bring down the backlog and others sharing insights on ways to continue to grow West Virginia’s cybersecurity and IT services sectors as the government works to modernize the clearance process and reduce the backlog. 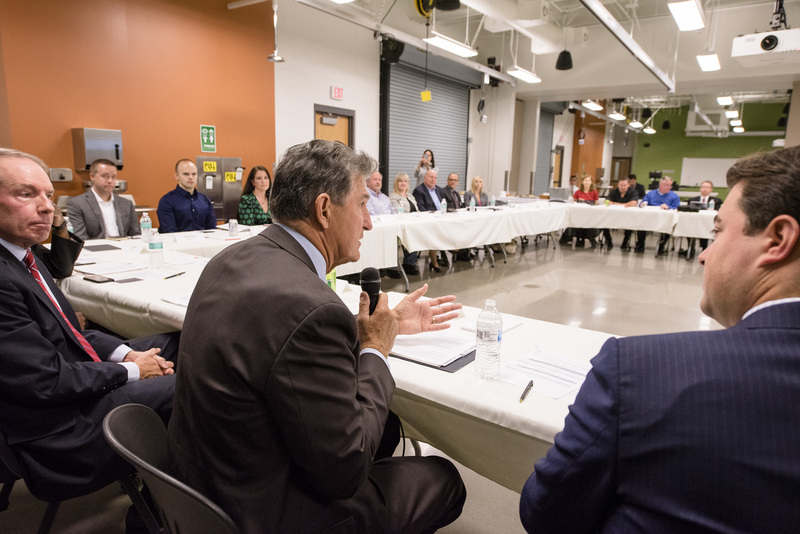 Following WV Forward’s blueprint to target industry growth in the ID intel, cybersecurity, big data and coding sectors, this roundtable is one in a series of discussions to help inform a comprehensive multi-pronged strategy to advance the economic development and job creation of this industry in West Virginia. 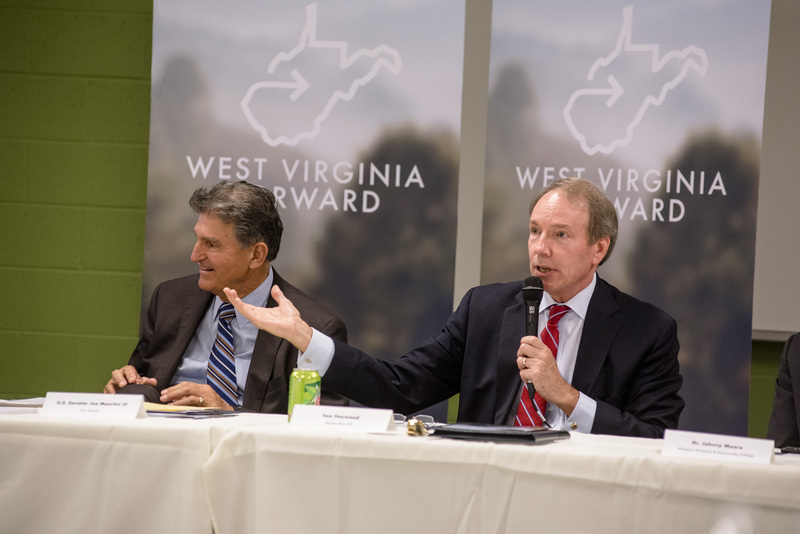 One pressing need participants agreed upon is the need for a comprehensive a guide to help inform prospective employees and employers how to navigate the clearance process and search for security- related jobs in West Virginia. Senator Joe Manchin, center, with representatives from Senator Capito's office. Senator Manchin with other government officials. 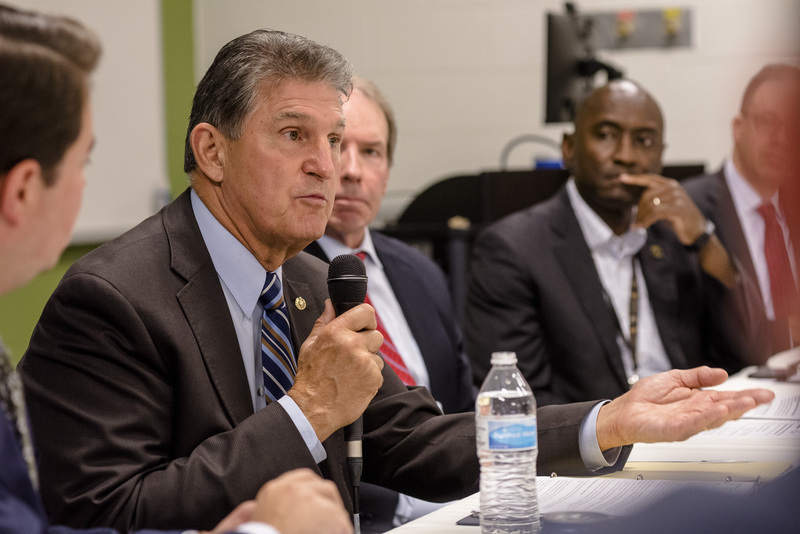 More than 40 government officials joined Senator Manchin. 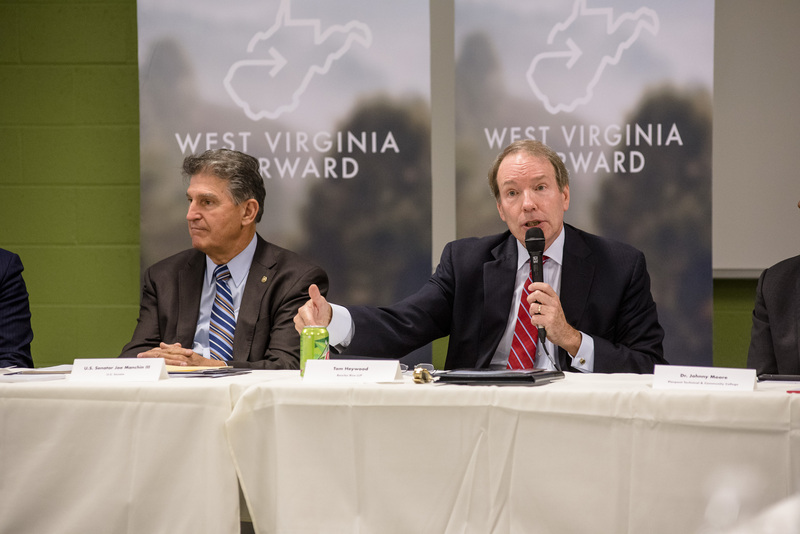 Officials discussed the national backlog of security clearance approvals and how it hinders West Virginia's ability to take advantage of one the fastest growing economic sectors. 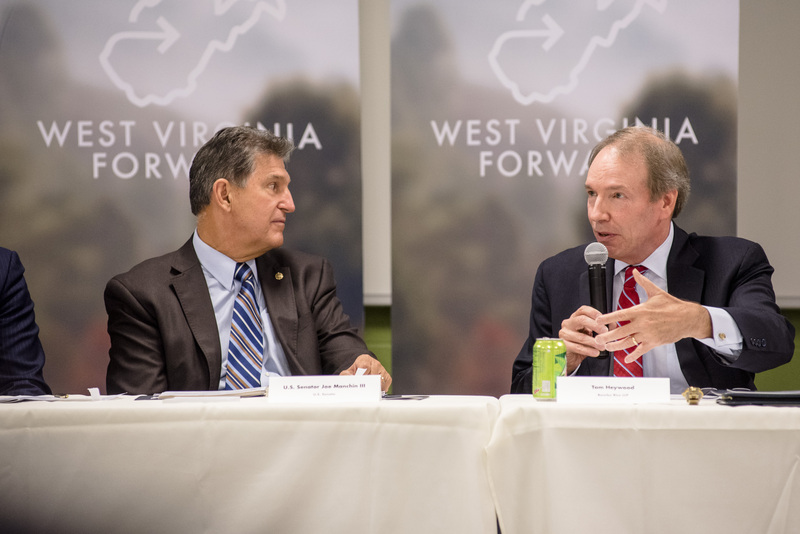 Senator Manchin, left, with Tom Heywood, Board Member of the Discover the Real West Virginia Foundation. 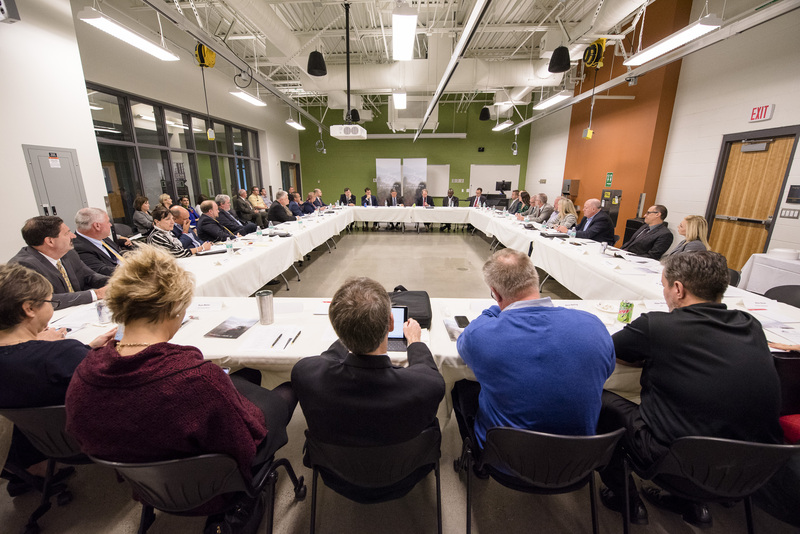 More than 40 experts participated in the discussion of how to move West Virginia's cybersecurity and IT services sectors forward. 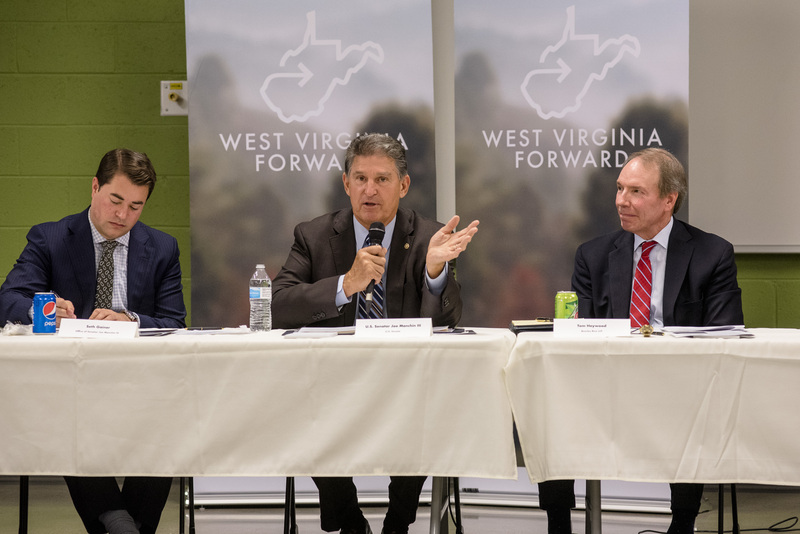 The WV Forward participants and experts at Friday's event.